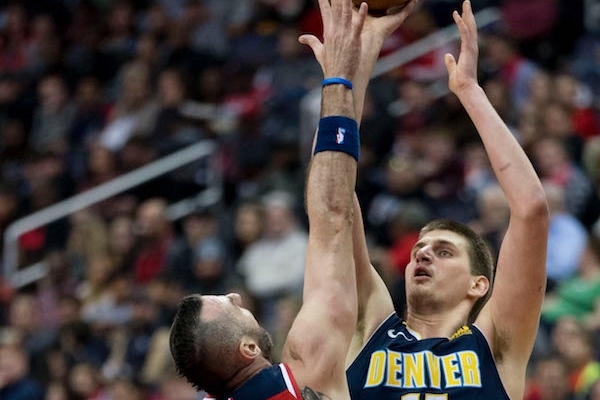 Denver Nuggets player Nikola Jokic has been fined $25,000 by the NBA for saying “no homo” during a live television interview, Yahoo Sports reports. “Denver Nuggets center Nikola Jokic has been fined $25,000 for using derogatory and offensive language, it was announced today by Kiki VanDeWeghe, Executive Vice President, Basketball Operations. Jokic made his comments to the media during a postgame interview following the Nuggets’ 108-107 overtime win over the Chicago Bulls on Oct. 31 at United Center,” the statement reads. Jokic isn’t the only player the NBA has fined for language. In 2013, Roy Hibbert was fined $75,000 for saying “no homo” during a post-game press conference. Hibbert retired from the NBA in July.